A bit of fact and a bit of speculation with the upcoming Detective Pikachu movie. First up well discuss the fact. A trailer for Detective Pikachu has just received a rating, which indeed means a trailer will be launching soon. Now for the speculation side of things. Warner Bros. is bringing Fantastic Beasts: The Crimes of Grindelwald to theaters next week, and they're also the distributor for Detective Pikachu. It seems pretty damn likely they'll play the Detective Pikachu trailer before Fantastic Beasts: The Crimes of Grindelwald. Hope this dies in the Box Office, not even Blessed Ryan Reynolds could save this. There’s no way that’s going to happen. Families are going to watch this because it’s Pokémon. If a film like The Emoji Movie can break even with its huge budget. 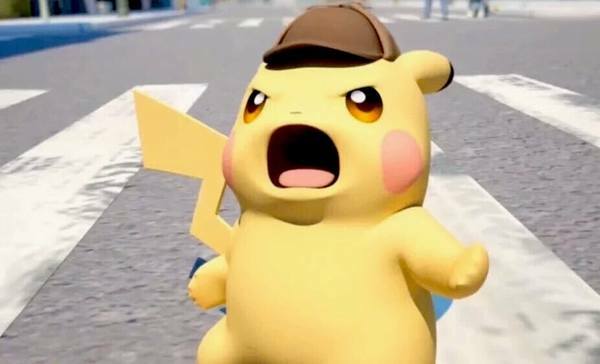 Detective Pikachu is going to do very well for itself. Why? Have you seen who&apos;s working on the project? Lots of great people are on the staff. That&apos;s cute that you&apos;d think having an All-Star crew guarantees a quality project. Fitting, I suppose, to precede a movie that&apos;s about a guy who hunts down and collects mystical creatures.